Once your older kids are eating more solid food, they are in danger of eating less iron in their foods. This can lead to iron-deficiency anemia which may hamper growth and lead to other negative effects like behavioral and learning issues, muscle weakness and delayed motor skills as well as social withdrawal. Iron deficiency may also affect the immune system negatively leading to recurrent infections like colds and flu. To counter these effects, you may need to give them iron supplements for kids. Does Your Kid Need Iron Supplements? The diet is mainly vegetarian or vegan. They are picky eaters or don’t eat well balanced meals regularly. They had low birth weight or were premature. They have medical conditions such as intestinal diseases and other infections which affect absorption of nutrients. They were born to mothers with iron deficiency. They drink a lot of cow’s milk. They are exposed to lead. Athletic kids exercise a lot. They are teenagers or older kids who are growing rapidly in puberty. Girls are in their adolescence and already menstruating. 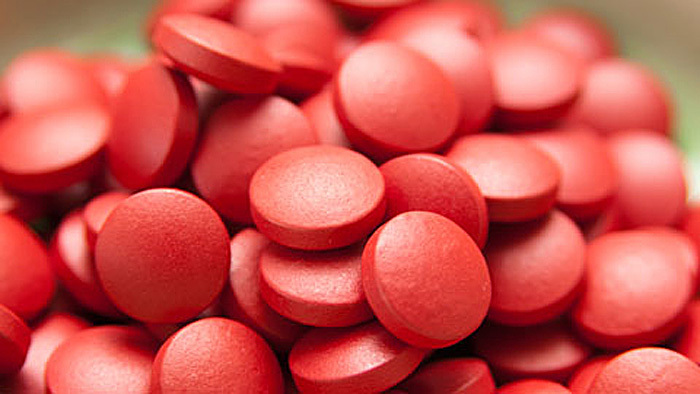 Typical iron supplements contain as much as 100mg of iron per tablet and are not appropriate for kids. Liquid supplements are easy to take. They are also easily absorbed into the body. They are sold in bottles which usually have droppers whose tubes are marked to make dosage easy to measure before squirting it directly into the child’s mouth. Make sure you brush the kid’s teeth afterwards because iron supplements may stain the child’s teeth. Leading liquid iron supplements include the sugar-free NovaFerrum Pediatric Liquid Iron Supplement Drops. These are measured using a spoon. Syrup supplements like Pediakid Iron + Vitamin B Complex are flavored with fruit concentrate to appeal to kids. Your child will get about 7mls of iron from two teaspoons of the syrup. Some syrup supplements like the above may contain more ingredients than your kid needs. Therefore, take caution and look for a product that is not overloaded with unnecessary ingredients. These are sweet and generally fun for kids to take. Besides, they may contain a number of vitamins. For instance, Maxi Health Chewable Kiddievite is formulated and flavored like bubblegum. The downside is that many chewable supplements are low in iron. Remember to store them beyond the reach of your kids. Gummies resemble candy and are popular with kids. However, always remember to keep them out of the reach of the kids. You can also get vegetarian gummies such as Vitamin Friends Iron Supplement which are gelatin-free and have no artificial colors or flavors, and are gluten, egg, dairy and nut free. You can mix powder iron supplements for kids with their favorite food like yoghurt, applesauce and oatmeal. A powder supplements like Rainbow Light NutriStart Multivitamin which contains iron does not contain artificial sweeteners and colors. It is also free from gluten, and other allergens. The powder supplement is packed in the correct dosage for kids. One packet has 4mg of iron. It is recommended that iron supplements be taken on an empty stomach although taking it with a little food or drinks like orange juice is okay. But do not give your kid an iron supplement with caffeinated drinks or milk as these interfere with the absorption of iron. Taking iron with orange juice or other foods rich in vitamin C improves the absorption of iron. In as little as one to two days of taking iron supplements, kids’ health starts improving and the appetite improves. And as the body makes more red blood cells, hemoglobin levels improve. It generally takes 3 to 6 months for iron deficiencies to be corrected although longer treatment may be necessary for some kids. In some cases, treatment with iron supplements for kids may fail to work because of poor iron absorption or wrong dosage. In such cases, the child’s doctor can get a blood test done to determine the response. Where kids have severe iron-deficiency anemia, further specialized treatment including blood transfusion may be necessary. Substantial amounts of iron are found in different plant and animal food sources. Animal sources of iron contain heme iron which is better absorbed by the human body than non-heme iron. Plant sources of iron contain non-heme iron. Add some of these foods to your child’s diet every day. When Can Babies Sleep on Stomach?